Unfortunately we will be without one of our aces for the upcoming World Baseball Classic. 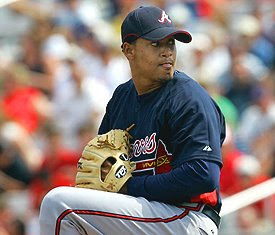 Jair Jurrjens of the Atlanta Braves just opted not to participate in the WBC. I had been hearing rumors about him not pitching with us during this big tournament, but was hoping they would be untrue. My fears were confirmed when I read this a little bit ago. We still have major league starters Sidney Ponson and Rick Van den hurk in line to pitch for the Netherlands during the WBC. 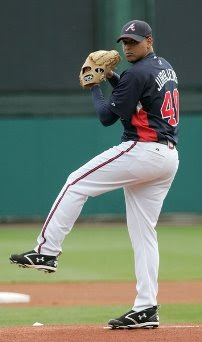 Jurrjens is the second big leaguer to back out of the WBC from our provisional roster, joining Roger Bernadina of the Washington Nationals in their persuit of a solid big league spring training camps to ensure they can start the 2009 season with their respective teams. I wish them both the best of luck in their camps and hope they represent The Kingdom of the Netherlands well on their clubs instead of with us in the WBC.